Hello everyone! I’m Sarah, and I write about thrifty decorating and do-it-yourself projects at my blog, thriftydecorchick.blogspot.com. It is an honor and a pleasure to be here sharing a holiday gift idea with Dave Ramsey fans! My family has been debt-free for nearly two years now because of a lot of hard work on our part and the teachings and inspiration of Dave Ramsey. I’ve always preferred to do things myself when it comes to decorating and DIY, and at Christmas especially I find a handmade gift is often the favorite one. Handmade doesn’t have to mean something elaborate or detailed though. This project is one of my very favorites, and it costs next to nothing! The best part is it can be used for multiple gifts and multiple projects. We have multiple items for everyone on your gift list! Check out Dave's online store now. Silhouettes have been big in design again for years now. I think it goes back to the nostalgia of them. They became popular in the mid-18th century as a less expensive version of the portrait. 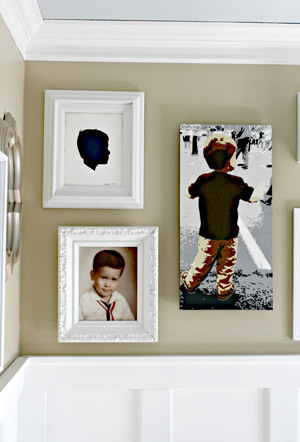 I love them because they are graphically interesting and can capture your family in a different way than photos. 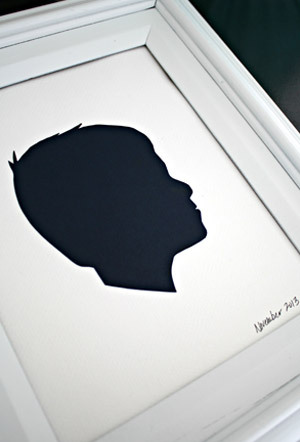 A silhouette is so simple to make on of your own! 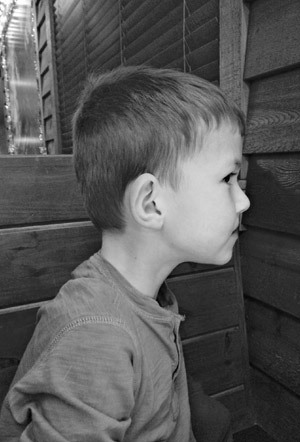 Start with a profile picture of your (adorable) child (Image 1). You’ll want to print it out in the size you’d like. Take the frame and your desired silhouette size into consideration. 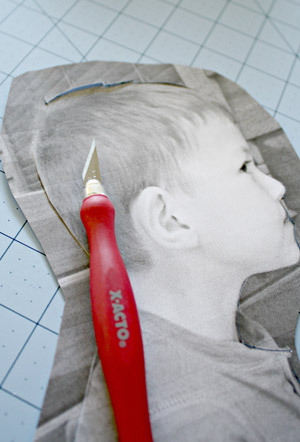 Once your child’s photo is printed, you can use scissors to cut out the profile., To get real definition, I like to use an X-acto knife (Image 2). 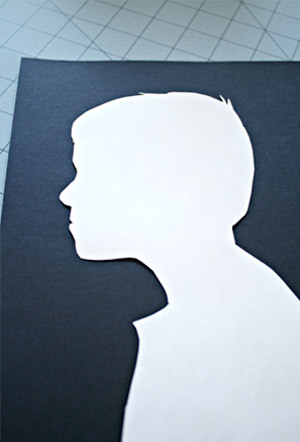 Once your photo is cut out, you’ll want to lay it on the some colored paper you’d like to use for the silhouette. Black is the most traditional, but red would be fun and festive for the holidays. I chose a dark navy for mine (Image 3). You can see how I was able to capture the details like the wisps in his hair and the cute cowlick at the crown by using the knife. Trace the photo, being sure to include those details, then use the X-Acto knife to cut it out again. A regular pencil works well to trace on dark paper, but if you have a lighter colored pencils that would work even better. 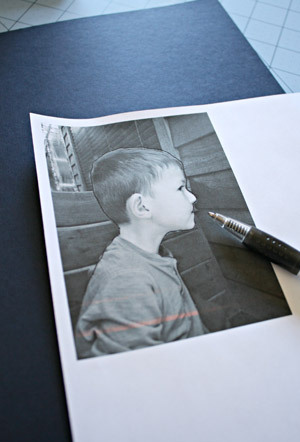 Once the profile is traced onto the colored paper, use the X-Acto knife to cut it out again. There are numerous ways of doing this project. If you’re using a lighter paper, you can print the photo right on it then cut it out and turn it over to get the silhouette look. I’ve also seen some print it out and color in the profile with a black marker. I was doing a smaller version as well so I tried tracing it over the colored paper, and that worked great (Image 4). Keep in mind you do lose some of the detail that way, but it saves some time. Now you just have to decide what to do with it—and the possibilities are endless! I glued mine on some white poster board inside a frame I found at Goodwill and spray painted white (Image 6). Be sure to put the date somewhere! How lovely would a series of these be—one each Christmas for each child, lined up in frames? I love it! 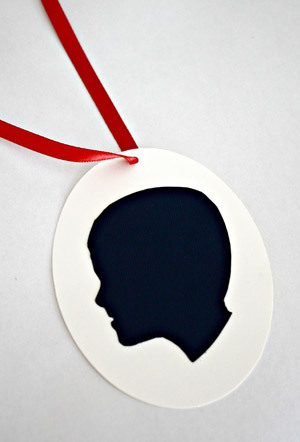 If you’re making a smaller silhouette, you can use inexpensive oval tags from the craft store and glue the smaller version on them to create great ornaments or gift tags for someone special (Image 6). For sturdier silhouettes, you could paint a piece of scrap wood then glue the silhouette on it. Use a larger piece of wood for an art piece or a smaller one for ornaments. For now my latest creation hangs in my office (Image 7). 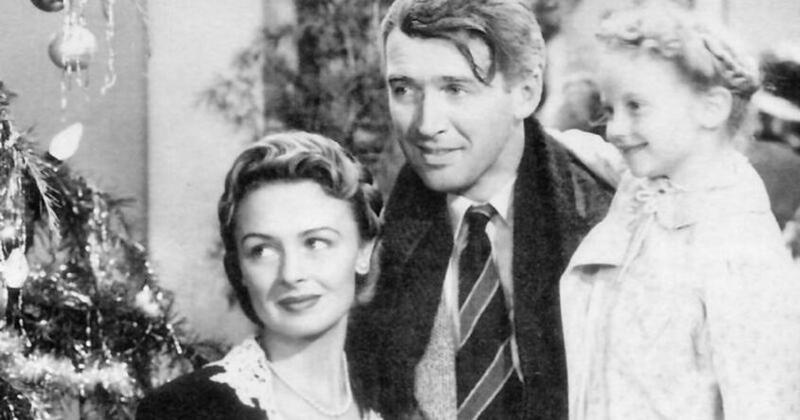 But it may go to Grandma at Christmas, if I can bear to part with it. I have another one in my office from years ago as well, and I can see how much my boy has grown, even in a simple profile like this. These gifts are fun and unexpected for the animal lover too. Dogs and cats look especially sophisticated in a silhouette! Silhouettes are inexpensive and relatively easy to make. They will add a personal touch to your gift giving this year. Mine cost less than 50 cents because I only had to buy textured paper, but even if you’re starting from scratch, you would spend less than $5 for an X-Acto knife and plenty of pretty paper. 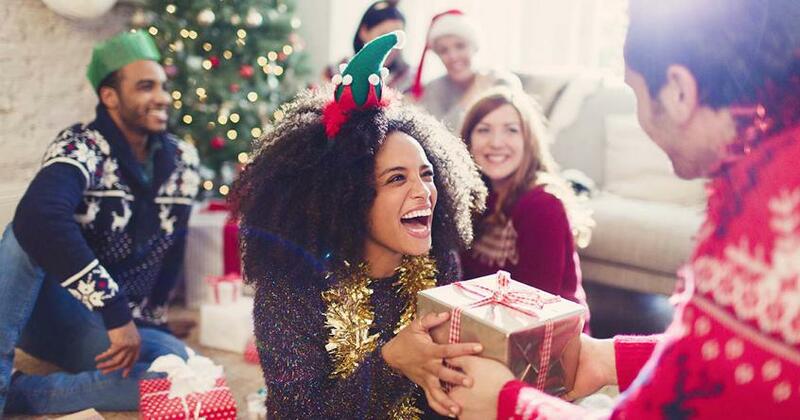 I hope this gives you ideas for Christmas giving on a budget this year! Have a wonderful holiday season! 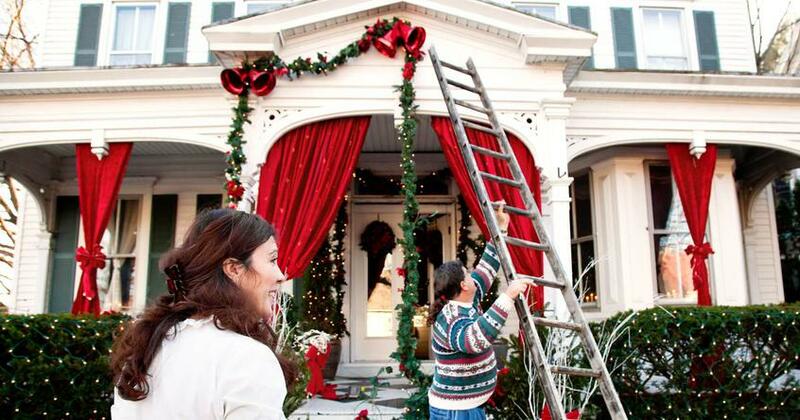 Sarah is the voice behind the popular DIY and decorating blog Thrifty Décor Chick. Since 2008, Sarah has shared ideas on making your home your haven without spending a lot of money. She believes everyone can have a home they love with a little knowledge, inspiration and patience. 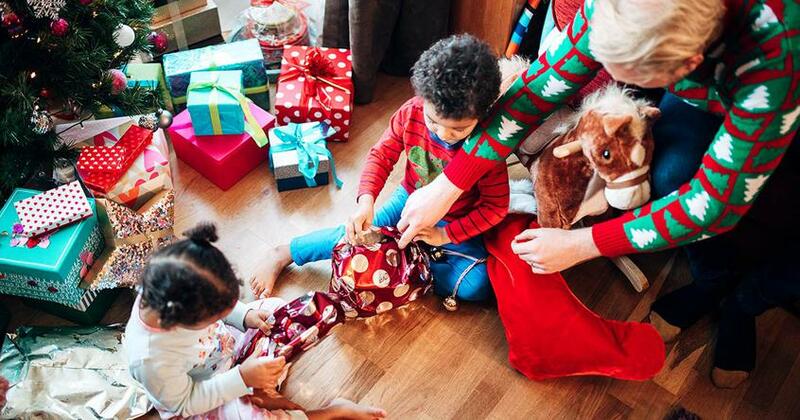 Get life-changing Christmas gifts for everyone on your list this year in Dave's online store.